I know it is surprising but it is good learning till the time I am associated with Logistics Industry . I talked to my peers in other parts of world in the logistics Industry as well and the story remains the same- The products and services in this Industry is very price sensitive and most of the companies are forced to adopt similar practices. The question that keeps me occupied is how to add differentiation in these services and make customers realize that there are significant gains in paying premium for the quality services. The answer to this question is to make the customers realize what are their pain areas or hidden needs and what value we can add to solve the problem. The thing that is difficult in the logistics Industry is that Suppliers send the products to Consignee. The Consignee receives the products, he checks quality, quantity of products but he gives less importance to transit time of the products, breakage( that doesn't come under the scrutiny of freight forwarder- until it happens during transit). Lets talk about pricing- Cost based pricing, Price based costing and Competitive pricing. 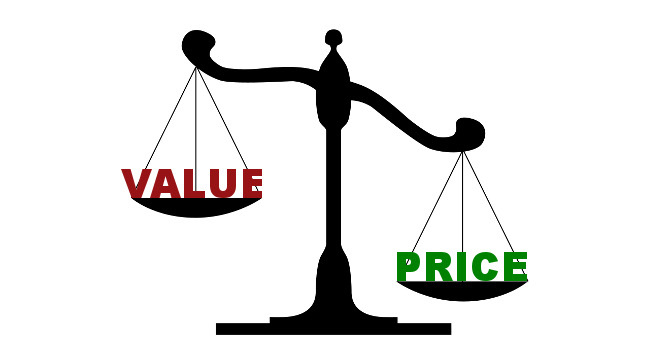 Competitive Pricing is the easiest and dumbest one to adopt until and unless you are in Commodity business. So innovators and early adopters are the one who can shell out extra money for the products and services but how to define these innovators or early adopters in the B2B industry and how to further narrow it to Logistics Services Industry. It is still a problem for me right now. The most desired kind of pricing is Price Based Costing, which means calculating how much value you are providing to your customer and then quoting the price. Selling on value has become difficult now because of symmetric information available on internet, social media and sharing the same is free and easy in today's highly connected world. 1. The simplest way and the most commonly adopted by all companies now is to sell solution rather than services- " Easiest said than done"
2. Narrow the target market- About 66% of your customers are price conscious but what about rest of 33%. There are customers out in the market that realize the value of services even in India and therefore segment your target customers and operate in those areas. 4. Highlight what your customers can't do and what you can do confidently. Be confident to drag your customers into the dirt. This will definitely help you to concentrate your energy and resources in the right direction and where chances of winning the deal is maximum. 5. Marketing also helps in overall effort because it will improve the overall image of a company. Your services should be perceived in such a way that customers should feel good on using your services and been associated with brand of yours. 6. One more way which is pertinent to the Logistics Industry is that one can do Backward Integration as well as Forward Integration- Scouring for Suppliers at the Source as well Scouring for Customers at the Destination. 7. 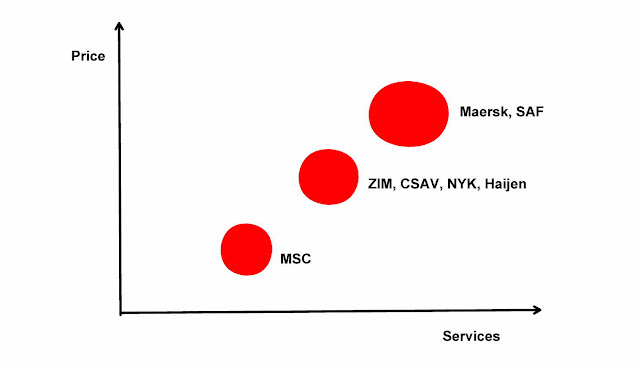 Investment in the Assets is also a mean to command a high bargaining power- Maersk do that with largest no. of vessels and inventory. On the flip side, there is depreciation and capacity utilization issues are also there.